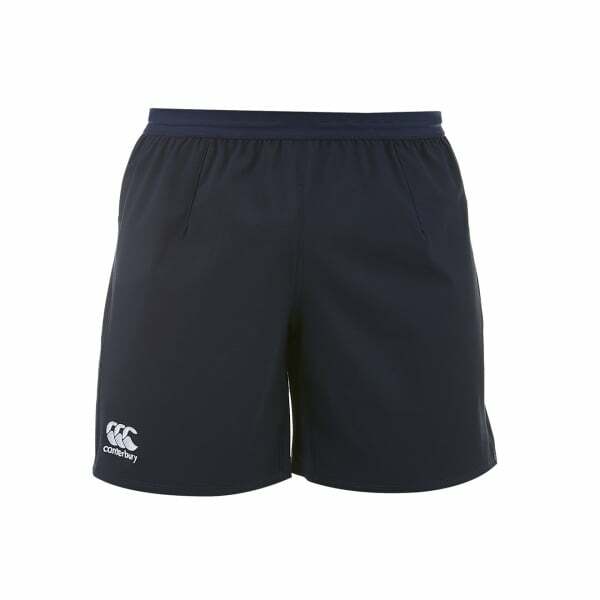 You’ll be the talk of the team at your next training session in the Tournament Short. Continuing Canterbury’s commitment to innovation and state-of-the-art fabric technology, this stylish short is designed to be seriously durable with its Ripstop materials. Featuring 88% polyester and 12% spandex, the Tournament Short utilises advanced fabric technology that makes it more resistant to ripping, giving you free range of movement and ensuring that you’ll stay comfortable even in the most strenuous of workouts. Designed to last the distance, this short is complete with Canterbury’s iconic high-contrast logo in white, giving you immediate solidarity with our brand’s well-established community of loyal fans and athletes.